Enjoy piece of mind knowing that your furnace, air conditioner, and/or fireplace are properly maintained every year. Our protection packages ensure that your manufacturer’s parts warranty remains intact and your equipment is operating at it’s best! For a small monthly fee, you can become part of the AirZone HVAC Services family. AirZone offers three Protection Packages that will give you peace of mind, protect your investment and maintain your warranty. Should anything go wrong with your heating or air conditioning, AirZone HVAC Services offers you 24 hour priority emergency care. An AirZone technician will arrive at your door and leave your residence only when your problem has been fixed, and you are 100% satisfied. Our most popular package for savings on annual maintenance! Protect your furnace, air conditioner, and/or fireplace. Ask us how you can save up to 20%! 20% Discount on Scheduled Services. Our best package for clients wanting parts AND labour protection along with discounts on major equipment purchase such as a new furnace. Our best option for the ultimate in protection and worry free heating and cooling service. ***Note: Furnace will be inspected prior to membership to ensure good working order according to manufacturer’s specifications for ALL protection packages. What is Included With Our Protection Package Maintenance? At AirZone HVAC Services, customer service is our top priority. 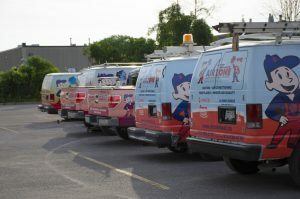 We consider our protection package customers a part of our HVAC family! We guarantee quality and that is why we are extremely transparent with the services we offer. Below is our maintenance checklist broken out by protection package level.